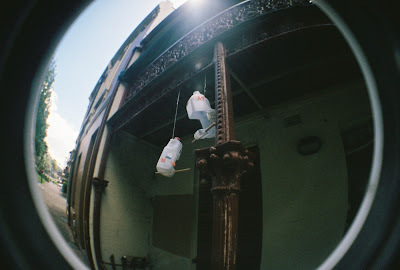 Living in Sydney, in a terrace, with homemade birdfeeders hanging out the front sounds so ideal to me I had to take a photo of it when I found it. I hope these residents realise how good they got it. Lomography Fisheye and ISO-400.